The Saints appeared to be in great shape when they bolted out to an 8-0 lead in Game 4 against Marion, holding a 2-1 edge in sets and needing just 17 more points to finish the match. The Indians rallied, however, and tied the fourth game at 23-23 and 24-24. 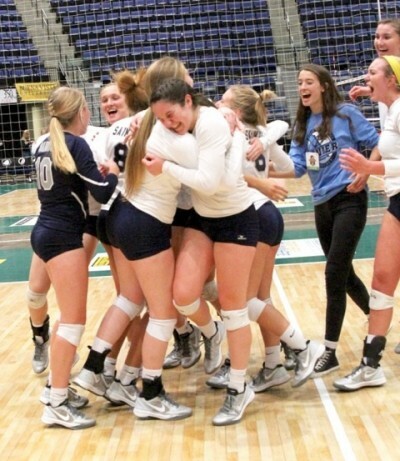 Richards rescued the Saints with back-to-back kills for the historic triumph. 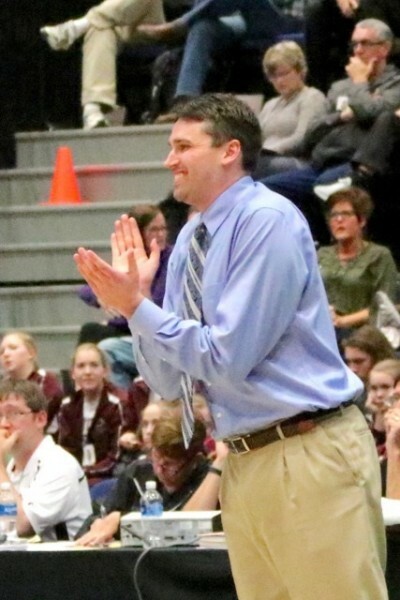 "Never once do I doubt this team's resolve and we've proven it all year," said Austin Filer, who has led the Saints to the state semifinals in his first year as head coach. "All year they have proven they are consistent, they are steady and they'll get the job done. "In those late-game situations they come together," he said. "They understand the time and score, they're intelligent girls and they understand what it takes to win in those clutch situations." Xavier made the state tournament in 2004, 2009, 2010 and 2012, but lost in the first round each time. None of these girls had ever played in the state tournament before, and they were facing an experienced Marion team that reached the semifinals in 2014 and was playing in the tournament for the third straight year. "It was amazing," said Akeela Jefferson, who finished with 12 big kills for the Saints. "It's always been one of my dreams to go to state. I'm glad I had such a wonderful team to help me get here." Jess Callahan rolled up 57 assists for the Saints. Ellie McDermott, who did not play when Marion defeated the Saints earlier in the season due to an injury, was in good health Tuesday and helped the Saints with 15 kills. Lexi Noonan finished with 24 digs, McDermott had 22 digs and Richards had 19 digs. Emily Jasper, Anna Parr and Keera Ball also made important contributions to the victory. Isabella Sade led Marion (34-10) with 17 kills and Morgan Swanger had 13. Caitlyn Smith collected 35 assists and Tanea Westhoff had 33 digs for the Indians. Xavier will be the underdog when it faces Dubuque Wahlert. The Golden Eagles are led by Mackenzie May, a UCLA commit who leads the entire state in kills. "Mack May is the best player in the state," said Filer, who coached May on the Adrenaline club team last year. "She has every shot in her bag. "They have a consistent team that knows how to play, and at the end they have a player that can take over games. She's phenomenal." The Saints have faced tough competition all season in the Mississippi Valley Conference. This will be one more. "I'm looking forward to battle on Thursday," said Filer. "At the end of the day, if we're all engaged, I trust this tam to beat anybody." Wahlert has won 17 state volleyball titles, the most in state history. Tom Keating, the principal at Xavier High School, won 11 of those state titles when he was the volleyball coach at Wahlert.